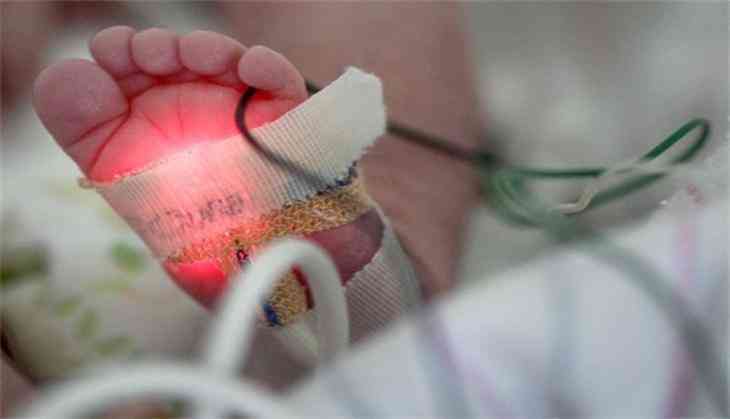 Turns out, even perfectly clean hands can lead to a superbug transmission among babies in the neonatal intensive care unit (NICU). Drexel University researcher Neal D. Goldstein and his team decided to look at how the complex patient care environment of an NICU may lead to Methicillin-resistant Staphylococcus aureus (MRSA) transmission. Focusing on hand hygiene, a top indicator of whether infections might spread in hospitals, the researchers examined transmission from baby to baby, with the hospital workers that come into contact with newborns standing as the link. And as it turns out, even theoretically perfect compliance with hand hygiene won't completely eliminate the chance for MRSA to spread: the averaged risk reduction was 86 percent. Goldstein said that the biggest implication is that hospitals should not just rely upon hand hygiene alone for protecting patients from becoming colonized and possibility infected with a difficult-to-treat organism. Rather, infection control is a multi-pronged strategy. It can incorporate early detection and measures to mitigate spread that include possible decolonization or using an antibiotic to treat a patient even before infection. The study used MRSA, a difficult to treat pathogen that can be deadly for people with weak or underdeveloped immune systems, as its subject. Goldstein discovered that even if health workers had absolutely perfect hand hygiene, just under one in every 100 contacts between a baby and a hospital worker could still result in a MRSA transmission. During the average nine day stay, an infant is likely to have about 250 contacts with NICU workers that carry risk for MRSA transmission. While each contact is an opportunity for hygiene compliance, it is also potential for hygienic practices to break down. "This sheds light on just how complex the patient care environment of a NICU is," Goldstein said. "There are so many opportunities to potentially pass an organism between healthcare workers and their patients." Although it seemed that MRSA could not be completely wiped out through perfect hand hygiene, the study did show that the better hand hygiene was, the more it cut down on the spread of MRSA. The effect never quite levelled off, but continued to get better as hygiene levels improved. "We can follow hygiene procedures, use gowns or gloves as needed, keep a clean environment, not bring in possible fomites such as cell phones, watches, or jewellery, and be a watchdog for the hospital, requesting that healthcare workers do hand hygiene if we don't see it being done," Goldstein said. "Outside the hospital, patients and parents can be more vigilant in requesting and using antibiotics appropriately so as not to give rise to antimicrobial resistant organisms. We're all participants in infection control, not just the clinicians." The study is published in Infection Control & Hospital Epidemiology.